Dear all Shu Uemura's fans, good news for you. 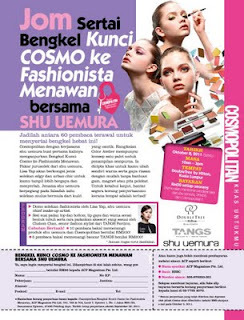 There would be Shu Uemura's workshop in Chinese and Bahasa Melaysia session in October 2011. Be the first 32 people to call and join the workshop. Fees: RM 120 per pax. Participants will receive goodies bag worth RM 100 and also RM 100 voucher to purchase products after the workshop. For more information, please refer to Citta Bella Magazine September issue. Be the 60 people to join the workshop. Fees: RM 50 per pax. Participants will receive goodies bag from shu uemura, TANGS and Cosmopolitan. 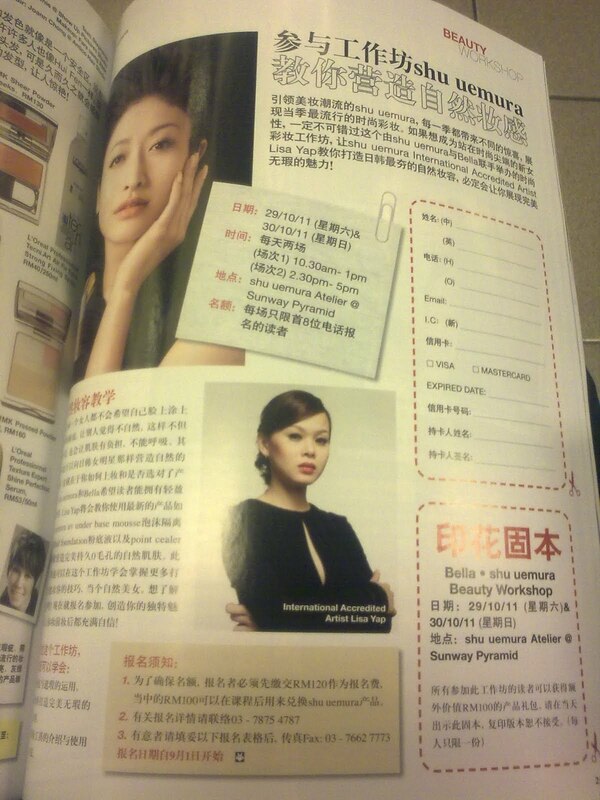 Programme Highlights: Makeup demo by Lisa Yap, shu uemura chief makeup artist. Styling tips by Chabom Chan, senior fashion stylist from TANGS Pavillion. 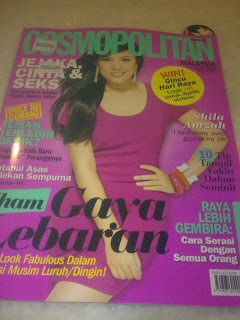 For more information, please refer to Cosmopolitan Malaysia Magazine September issue.